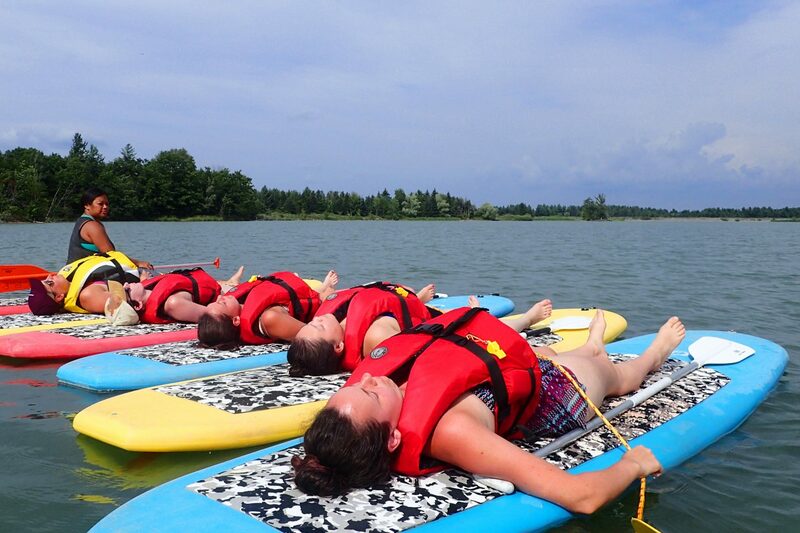 Join us for one (or a series) of our popular and blissful Mindful Paddle & Floating Meditation sessions on the lake! Our instructor will help guide you to quiet your mind and settle in to experience an hour of living in the moment. A perfect chance to re ground and enjoy a little ‘me time”. Our staff will get you geared up and ready to hit the water with all your safety gear & we will go over the rhythm of the class and basic instructions on the beach. All paddles will have a group leader and we will all paddle together through our chosen route in the lake. Your instructor will be there to offer techniques and guidance. 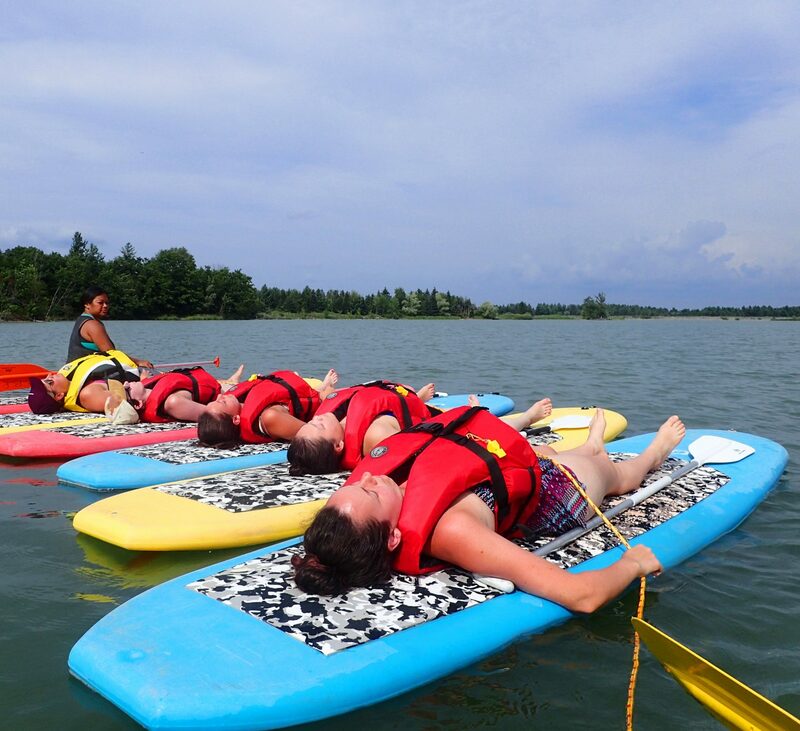 Each paddle or float will vary depending on the instructor and conditions. Floating meditations are done laying down on the board with your eyes closed as we drift across the lake. Our staff will look after the rest for you. Paddles are suitable for those with some experience in paddling. No swimming ability needed. Have your own board? Join us for a reduced cost! Variety of Dates available between our Burlington beach & Binbrook Conservation location. 60 min's - All rentals included. Please register in advance. Condition Dependent. $59.95 + hst Counts toward loyalty program Have your own SUP? Join us for less.